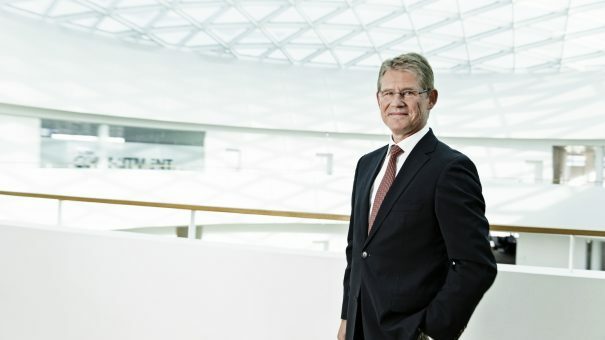 Lars Rebien Sorensen is to retire as CEO of Novo Nordisk by the end of this year, and will be replaced by Lars Fruergaard Jorgensen, currently the Danish company’s head of corporate development. Jorgensen will take over on 1 January, said the company, which also announced several changes to its executive management team. Sorensen (pictured) has been in charge of the company for 16 years, and has overseen a huge expansion in the business over that time. But the company is now facing pressure on pricing for its diabetes drugs, particularly in the US. In early August, the company cut its forecast for full year profit growth, adding that it expected prices in the US to be affected by tough competition. With around 30 million diabetes patients, the US is a key market for Novo, and accounts for around half the company’s revenue. But pharmacy benefit managers in the US, who administer drug formularies for employers and health plans, are squeezing prices and hitting revenues in turn. Under Sorensen’s leadership, Novo has grown from an also-ran, with a market capitalisation of less than $10 billion at the turn of the century, to one of the world’s biggest pharma companies, with a market cap above $120 billion. Before the bad news about profits in August, Novo was worth more than $140 billion. Sorensen’s departure is sooner than expected, as last year the company said he would remain in post until around the time his contract expires in 2019. It is unclear whether his departure is related to the issues with pricing in the US. Meanwhile, Jakob Riis, will move from executive vice president and head of region China and Pacific, and marketing, and become executive vice president and head of North America operations. He succeeds Jesper Hoiland, who steps down from executive management and whose future at Novo Nordisk will be announced at a later date. Maziar Mike Doustdar will continue as executive vice president and head of international operations, but with an enlarged unit covering all territories except for North America. Jerzy Gruhn, currently executive vice president and head of Europe, will step down from executive management and will continue as head of Europe, now as senior vice president, reporting to Doustdar. Sorensen said he had been closely involved the selection process leading to Jorgensen’s appointment.